Engineers probe for a booby trap under mine near Haman, Korea. 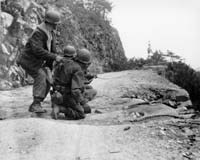 13 Sep 1950. 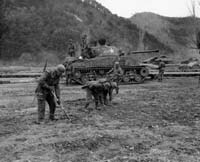 An anti-tank mine crew starts checking for other possible mines after an M-4 tank of the 32nd RCT, U.S. 7th In Div (in background) was disabled when it hit an anti-tank mine on this road in Korea. 28 Feb 1951. 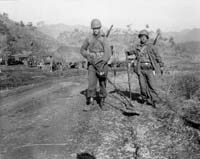 Members of the 2nd Engineer Combat Battalion sweep the roads of Korea for anti-tank mines. 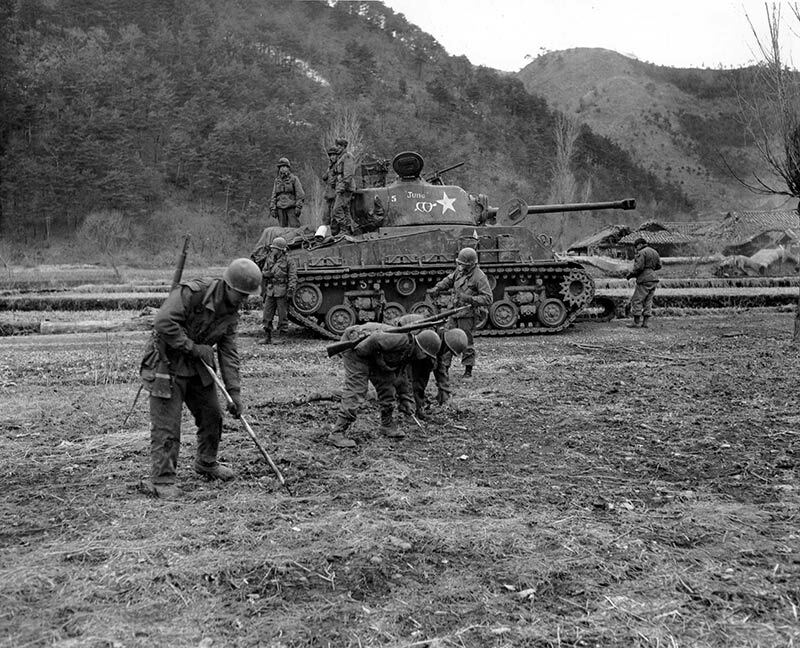 16 Mar 1951. Engineers use a rope to pull a booby-trapped tree off the road in the Techen-ni Area, Korea. 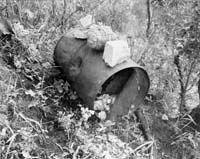 Attached to the tree was a Russian-type heat grenade that failed to explode. 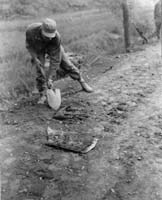 14 Apr 1951.
soldiers using mine detectors to sweep the road clear of hidden Communist planted land mines for an advancing M-4 tank. 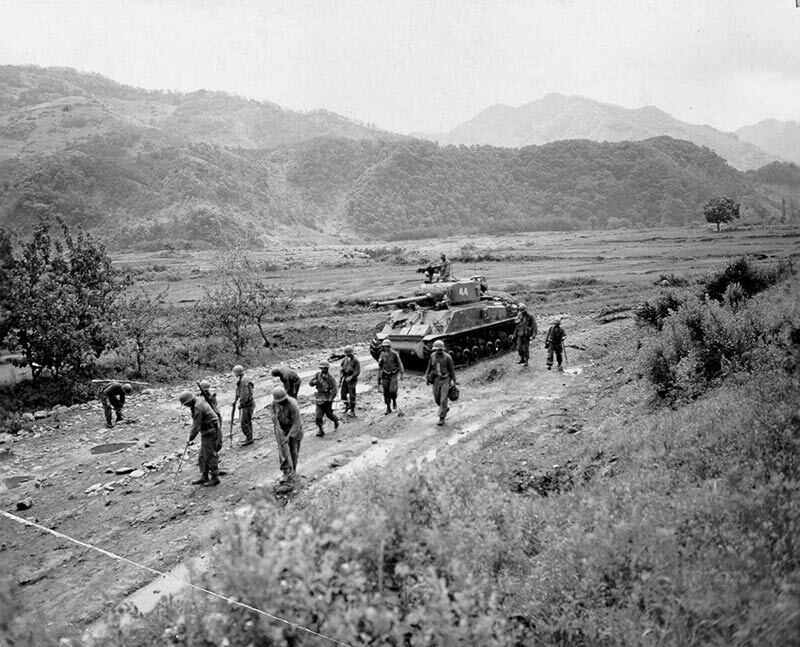 10 Jun 1951. 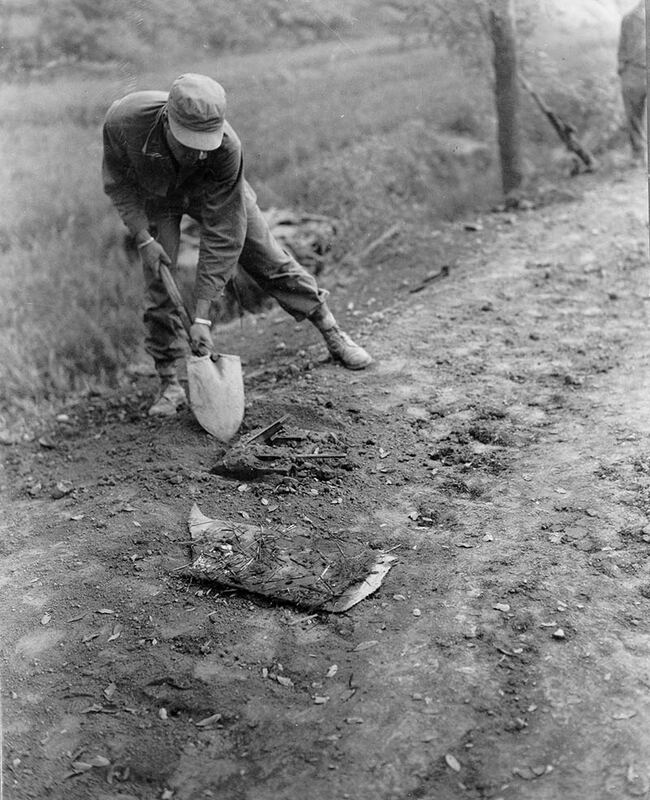 A Chinese anti-personnel bomb, which was found on a ridge near the 15th RCT Command Post, 3rd U.S. Infantry Division. 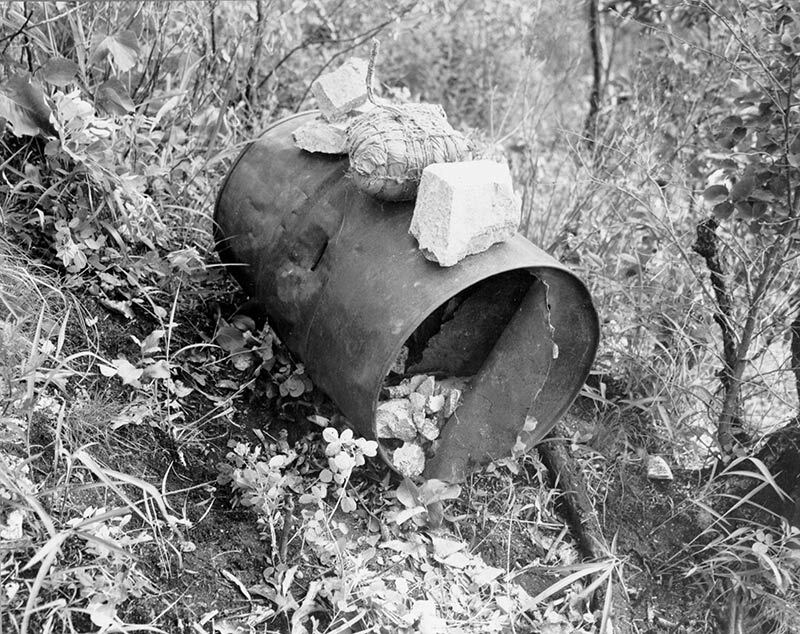 The 55-gallon drum held 8 lbs of fused TNT and was filled with rocks. 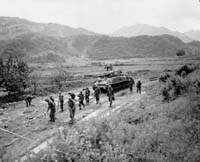 15 Jun 1951. 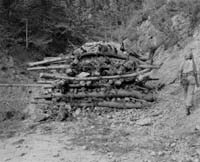 Booby-trapped roadblock erected by the Communist across a narrow mountain pass road near Ynaggu, Korea. Discovered by the 2nd Engineer Combat Battalion while clearing the pass of anti-tank mines and booby traps. 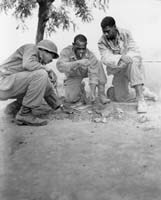 5 Aug 1951. 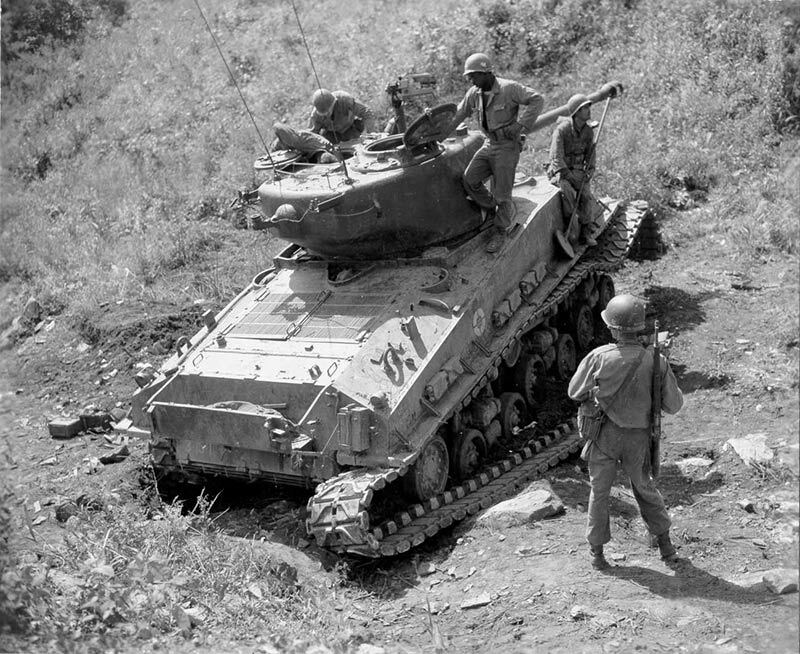 Men of the 2nd Platoon, B Co 10th Engineer Battalion check a tank for booby-traps and the area for mines. 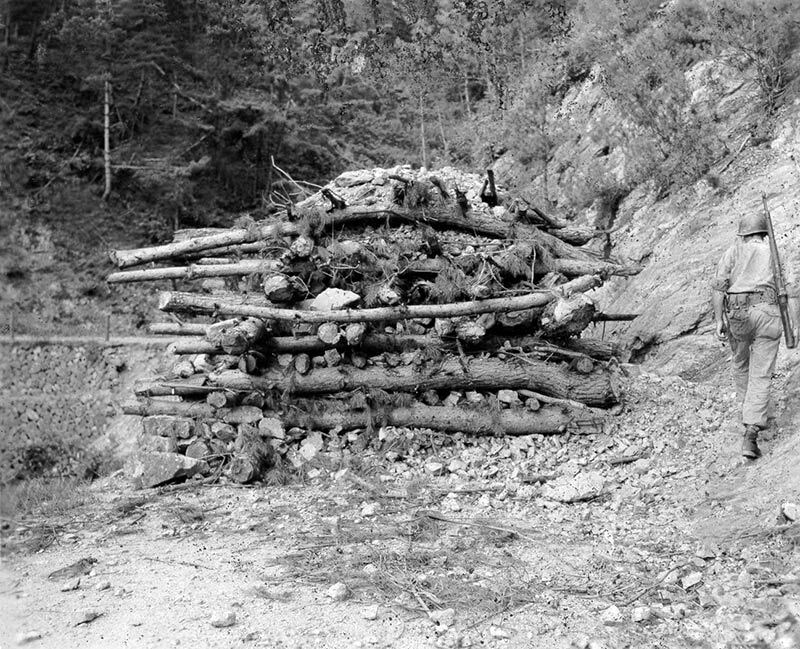 8 Oct 1951.